Acupuncture, when translated into English, literally means “needle piercing”. It is formed by combining from the Latin words acus, which means “needle”, and pungere, which means “to prick”. As an alternative medical technique, its main purpose is to promote health and to alleviate pain. 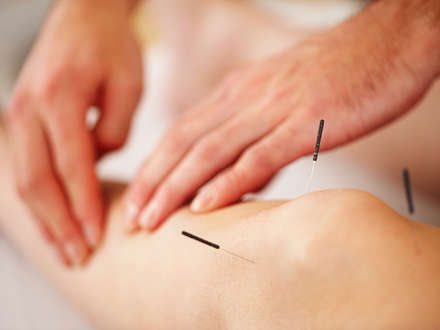 Acupuncture is a part of a larger system of healing known as Oriental Medicine, which herbology, physical therapy, dietetics, and special exercises. Originally of ancient Chinese roots dating as far back as the 1st millennium BC, acupuncture arise as a practice with the discovery the functioning of certain organs in the body is affected by stimulation of certain areas on the skin. Later on, it developed as a part of the traditional medicine of China, Japan and other Eastern countries. Based on the name given for the method, acupuncture is traditionally done by puncturing the skin with fine, slender needles in areas which acupuncturists call as “acupuncture points” or “acupoints”. At present, there are other techniques developed and done simultaneously with needle piercing. Some of these involve the use of heat, pressure, friction, suction, electromagnetic energy, lasers and herbs. Acupuncture is basically about stimulation. Acupoints are stimulated by needles to regulate, balance and correct the movement or flow of the energy called “qi” for the purpose of restoring health. The belief is that the qi flows through the body through different pathways called meridians. When the opposing forces of yin and yang are in harmony, the qi flows freely through the meridians thus the person is healthy. An obstruction of the qi from flowing freely in through the meridians resulting from energetic imbalance between the yin and the yang causes sickness or injury. There are 12 primary channels or meridians that the acupuncturist should master. These meridians run vertically, bilaterally and symmetrically and corresponds to 12 Zang Fu or organs. There are each three yin and yang channels on each hand. The three yin channels of the hand are composed of the lung, the pericardium and the Heart. They begin on the chest and travels along the inner surface of the arm to the hand. On the other hand, the three yang channels of the hand are the large intestines, san jiao and small intestines. They begin on the hand and travel along the outer surface of the arm to the head. Next, the three yang channels of the foot are composed of the stomach, gallbladder and the bladder. They begin on the face, in the region of the eye, and travels down the body, along the outer surface of the leg to the foot. Lastly, the three yin channels of the foot are the spleen, liver and kidney. They begin on the foot and travel along the inner surface of the leg to the chest or flank. Qi flow through these 12 channels through an internal and external pathway, describing the three complete circuits of the body.